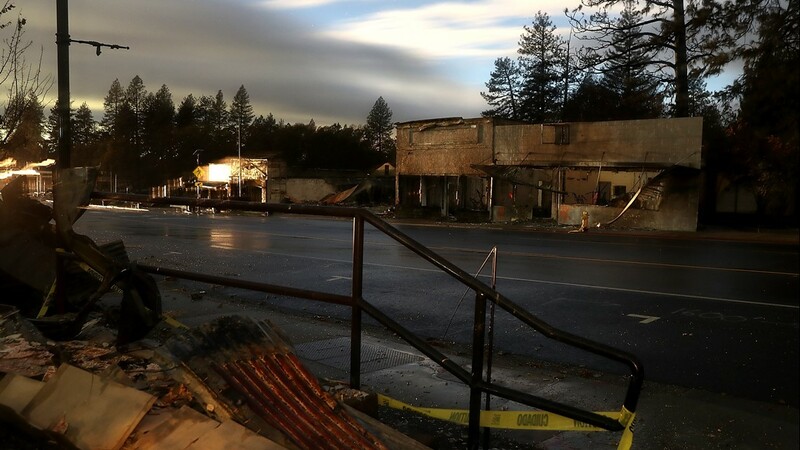 Butte County officials confirmed an additional 13 fatalities. 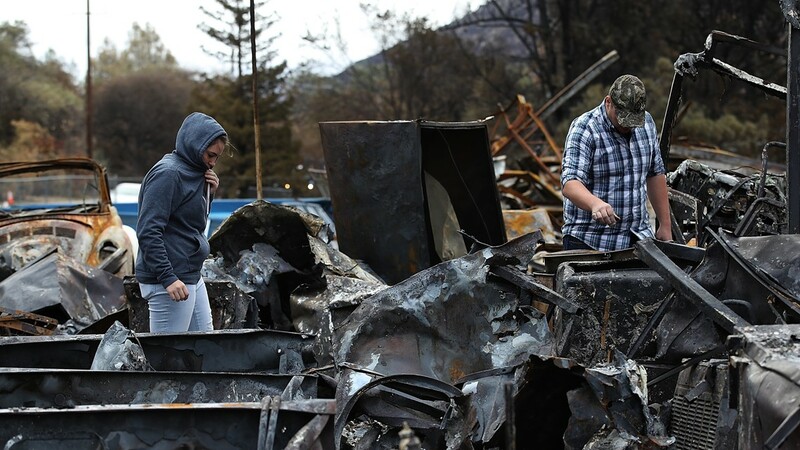 This raises the death toll 42, making it the deadliest fire in California history. 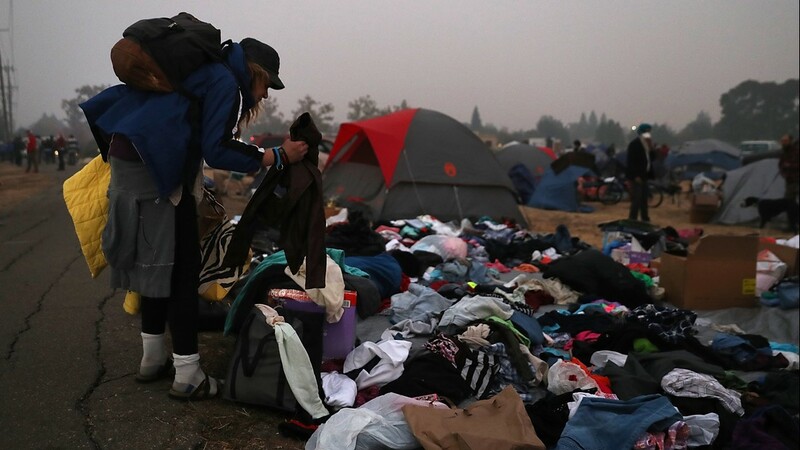 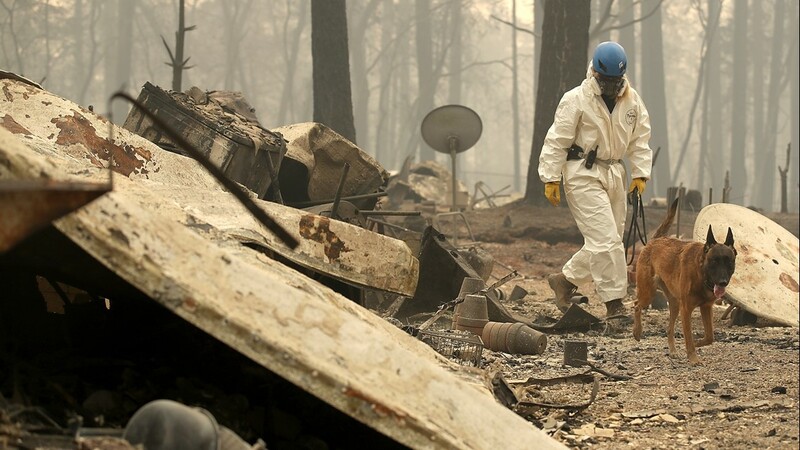 The blue of an unfurled body bag has become a gut-wrenching splash of color in the Northern California town leveled by a wildfire. 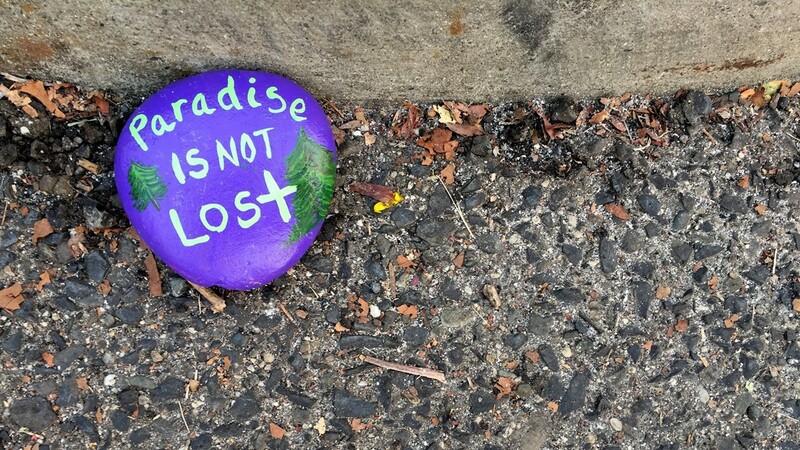 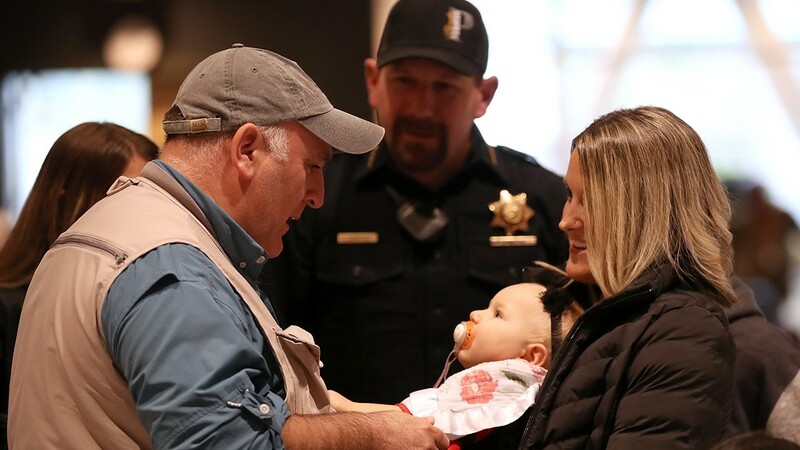 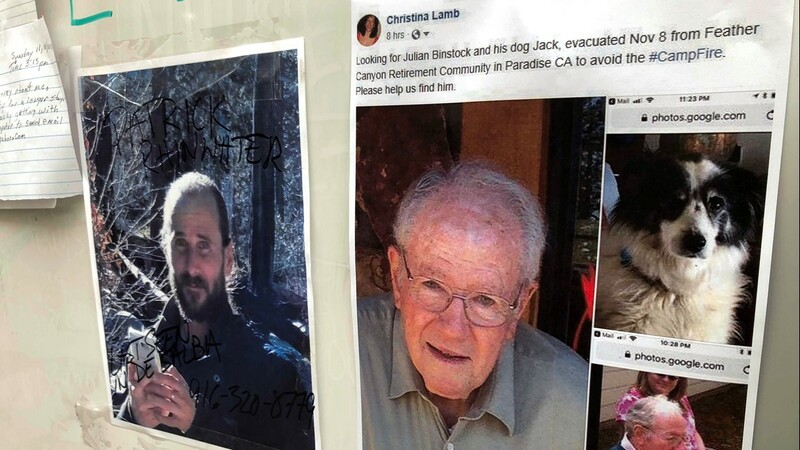 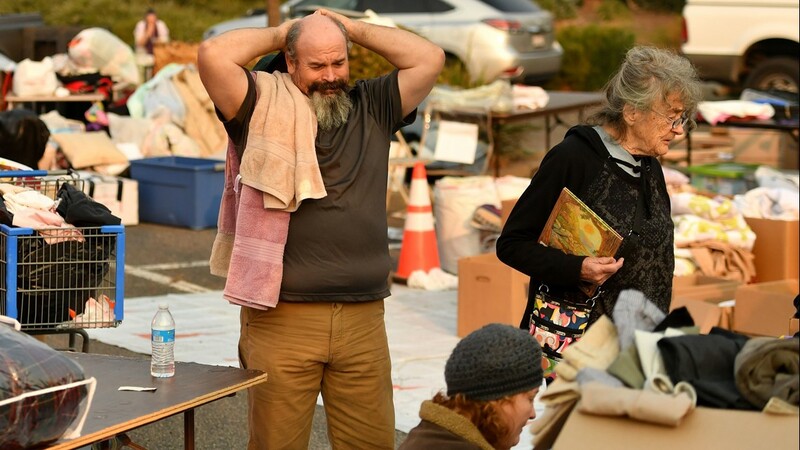 Coroner search teams, many accompanied by a chaplain, have fanned out across Paradise and visited dozens of addresses that belong to people reported missing since the fire Thursday. 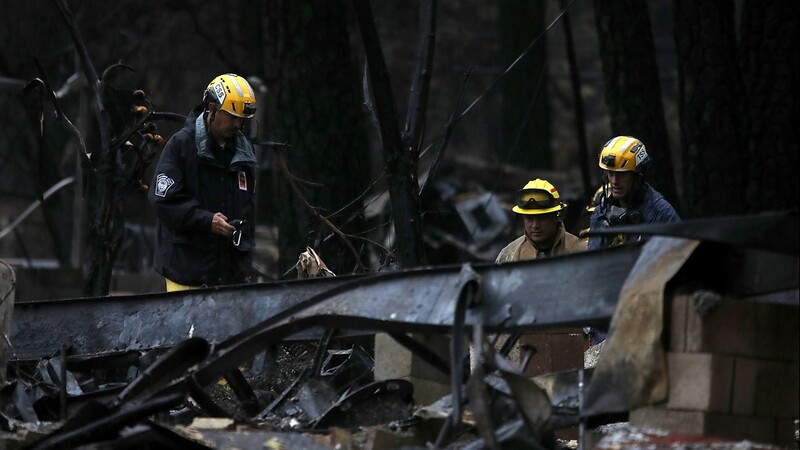 Crews have already recovered remains of more than two dozen people. 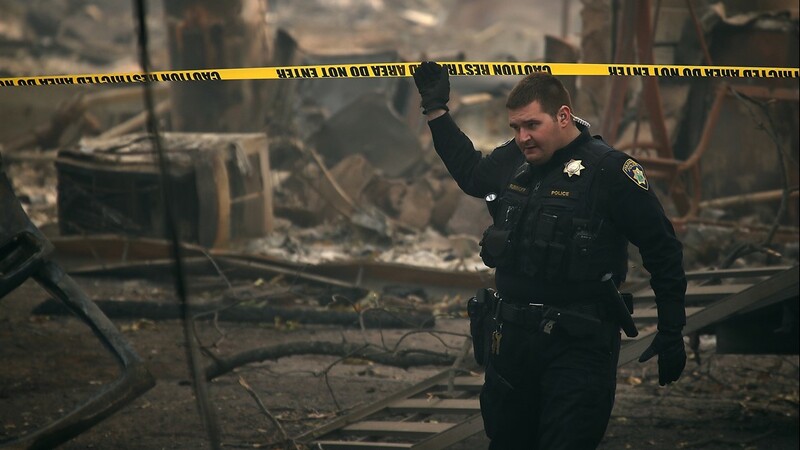 When a body is found, a call goes out, yellow police tape goes up - and the blue body bag arrives. 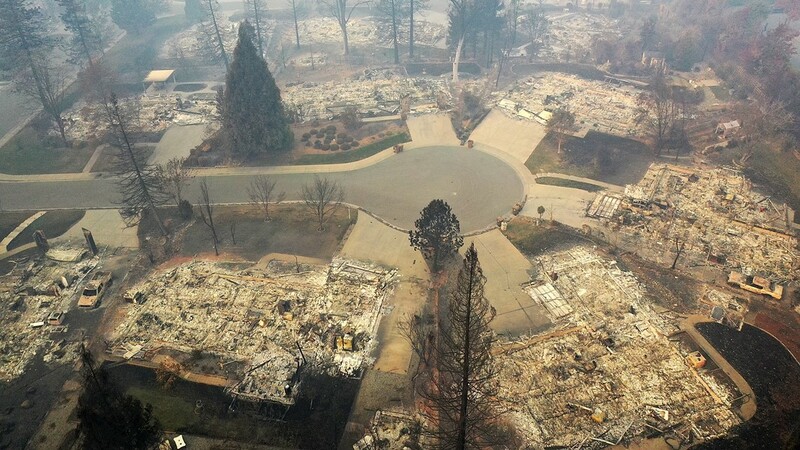 In many cases, there is almost nothing left. 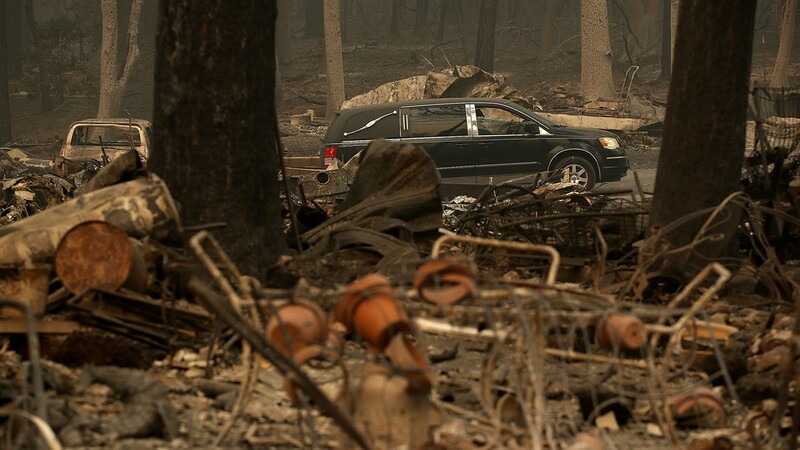 The long bag looks almost empty as it's carefully carried out of the ruins and placed in a black hearse. 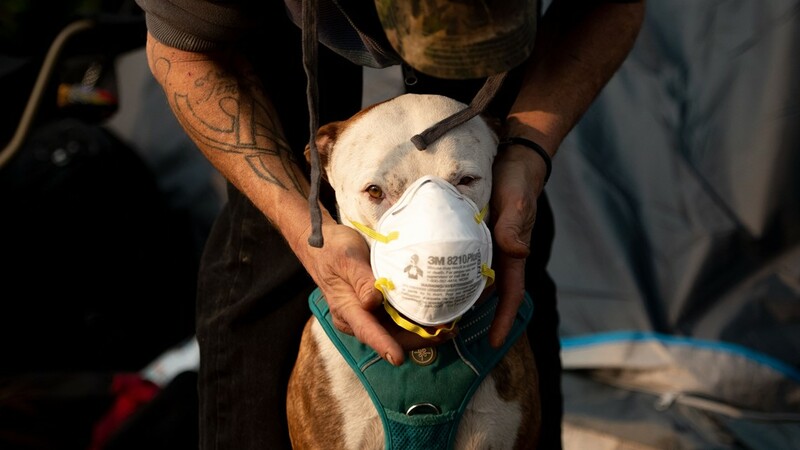 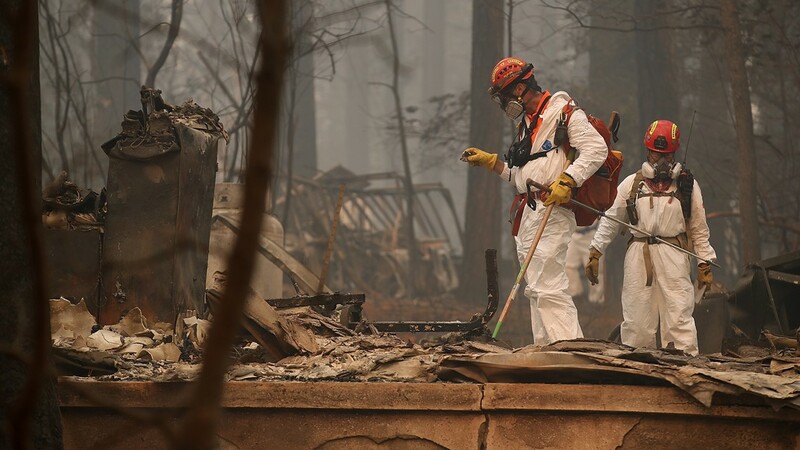 Butte County and CAL FIRE officials confirmed the Camp Fire to be the deadliest fire in California history with 42 people dead. 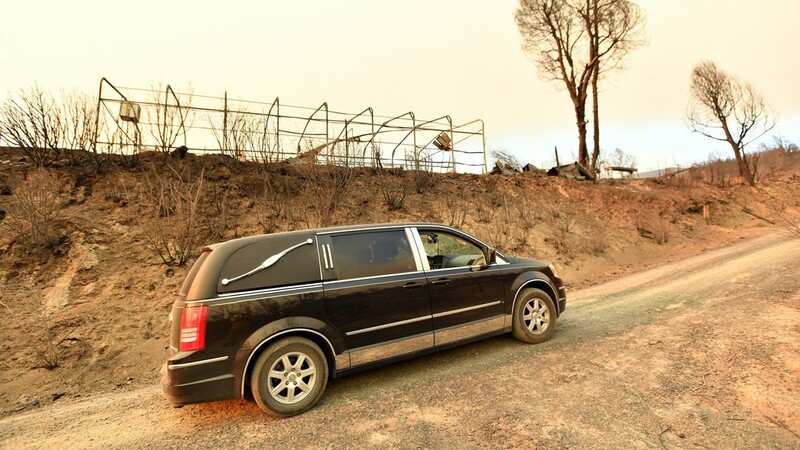 Of the deceased, 4 have been identified, but only three have had their names released. 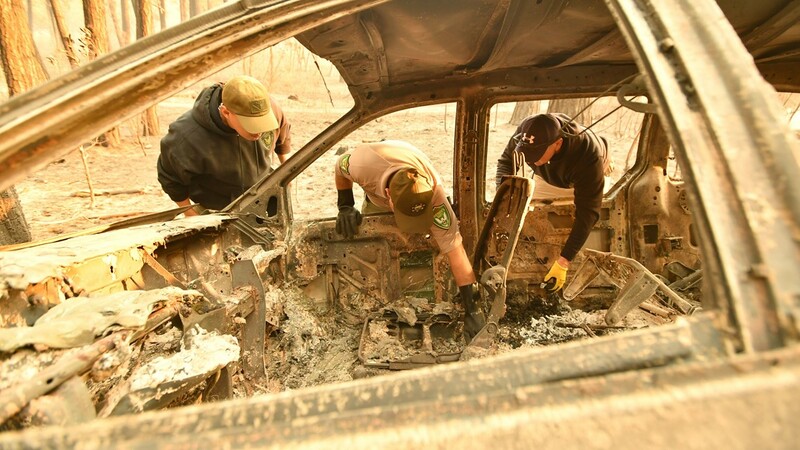 The total dead increased from 29 with the discovery of 13 additional bodies. 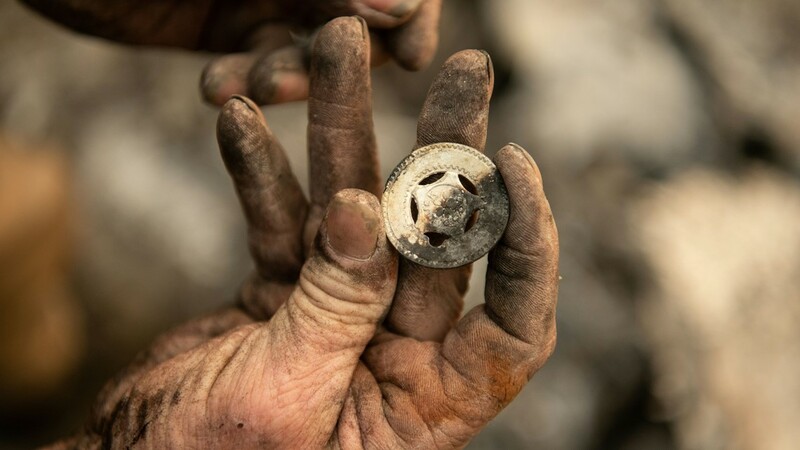 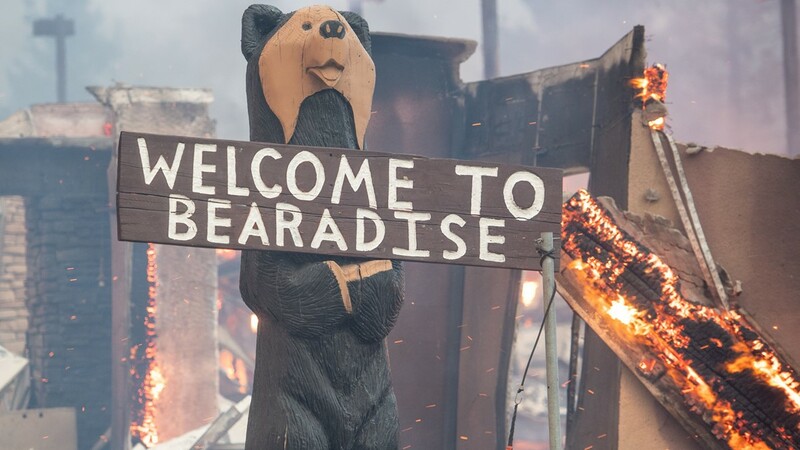 10 of the 13 were discovered in Paradise, with seven in homes and three outside. 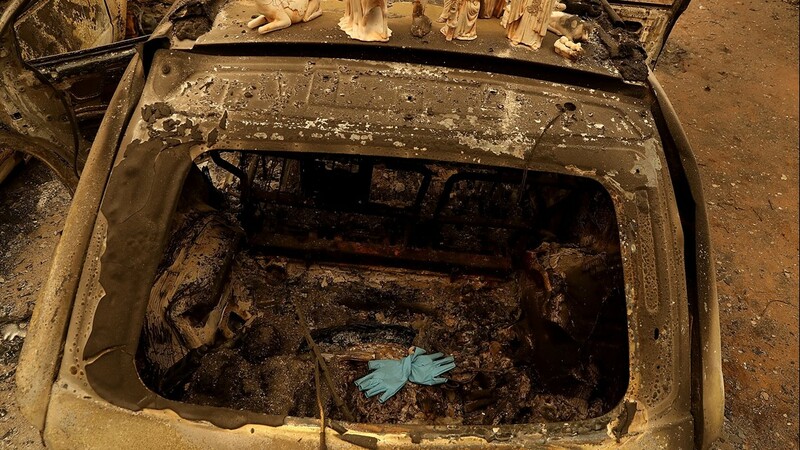 The last three were from the Concow area- two were found outside and one was inside a home. 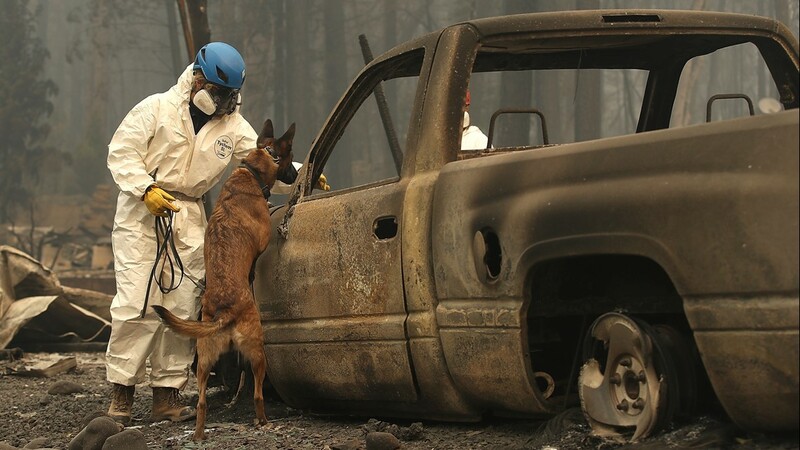 Resources being requested to aid Butte County include a request for cadaver dogs and a rapid DNA system, which they hope will expedite identifications. 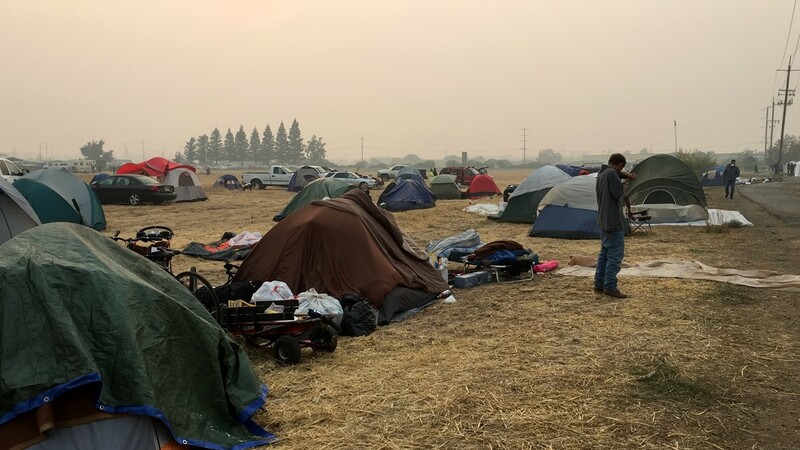 Due to a high number of calls to their missing persons line, the Butte County Sheriff was unable to provide an update on the total number of unaccounted for individuals. 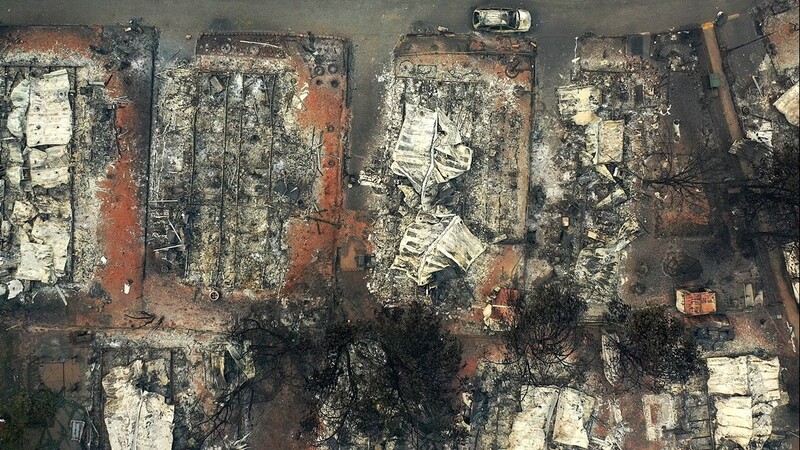 They had received 1,514 calls regarding welfare checks and attempts to contact people unaccounted for. 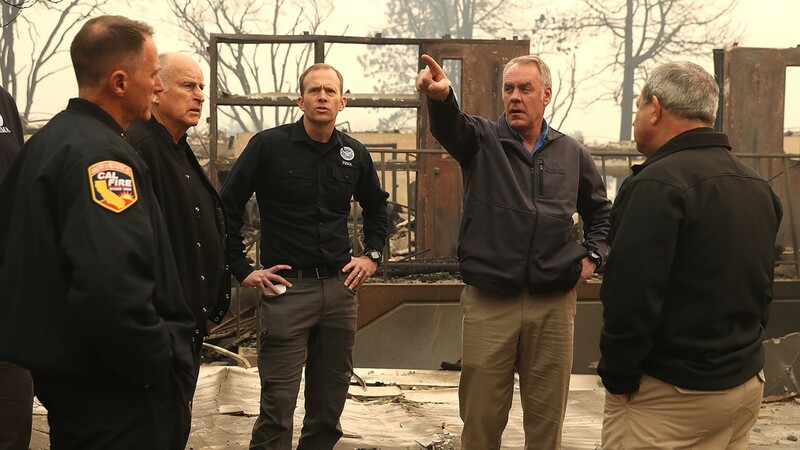 To date, his office has located 231 people, up from 107 on Sunday. 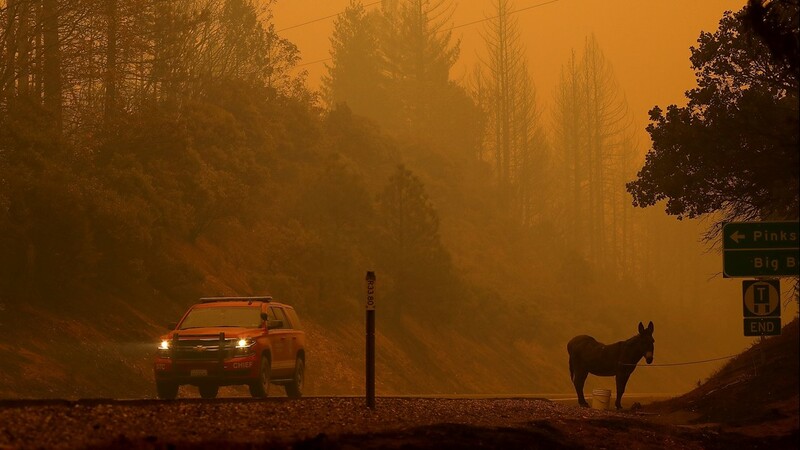 Although containment has reached 30 percent, firefighters will be facing near critical fire weather conditions through the night due to dry conditions and breezes, however, those winds will not be as strong as previous days, according to Aviva Braun, Meteorologist with the National Weather Service. 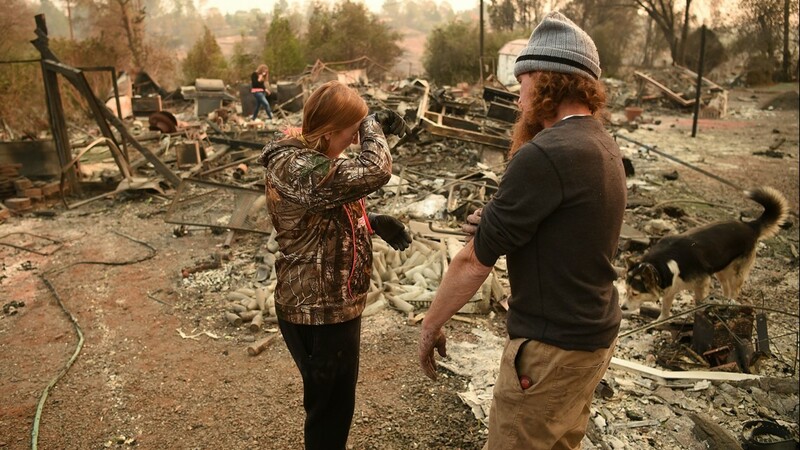 She added that forecasts for rain in the area are unlikely. 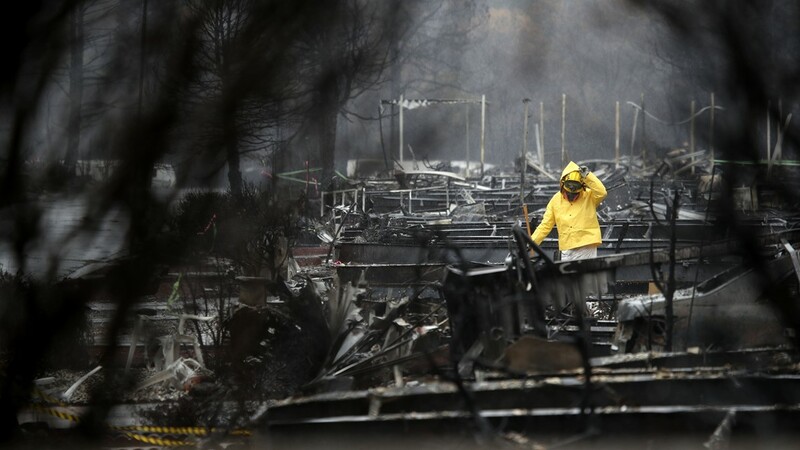 “We are not seeing any indication of any precipitation in the next week and possibly through Thanksgiving,” said Braun. 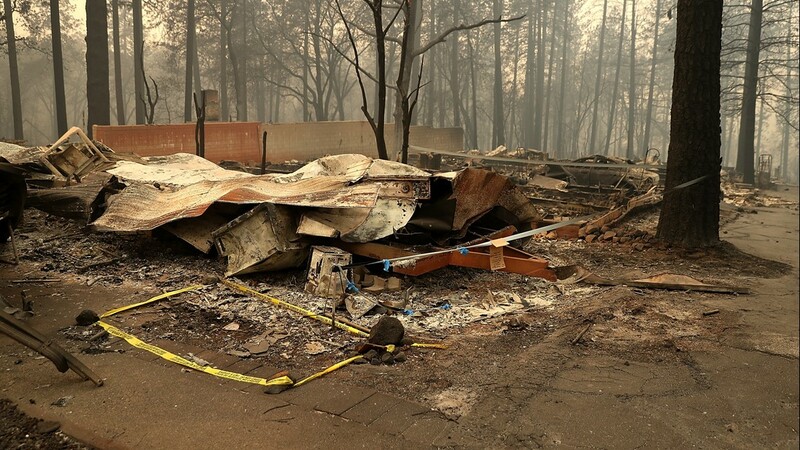 Butte County Sheriff Kory Honea has released the names of three individual killed in the Camp Fire. 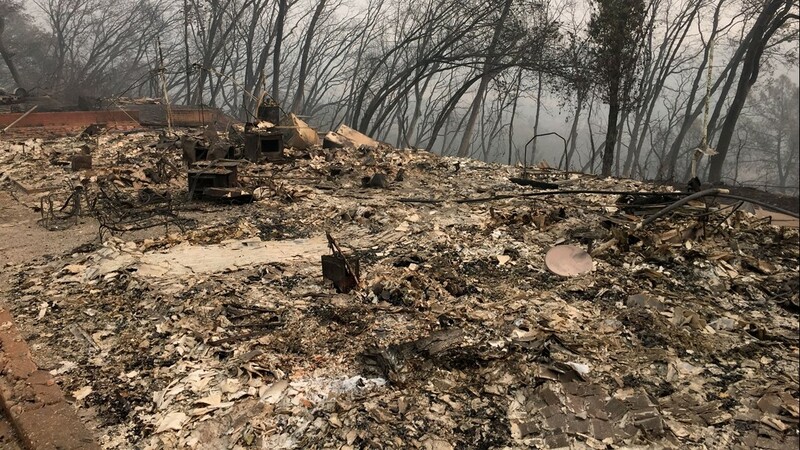 Butte County Sheriff Kory Honea confirmed an additional 13 fatalities due to the Camp Fire. 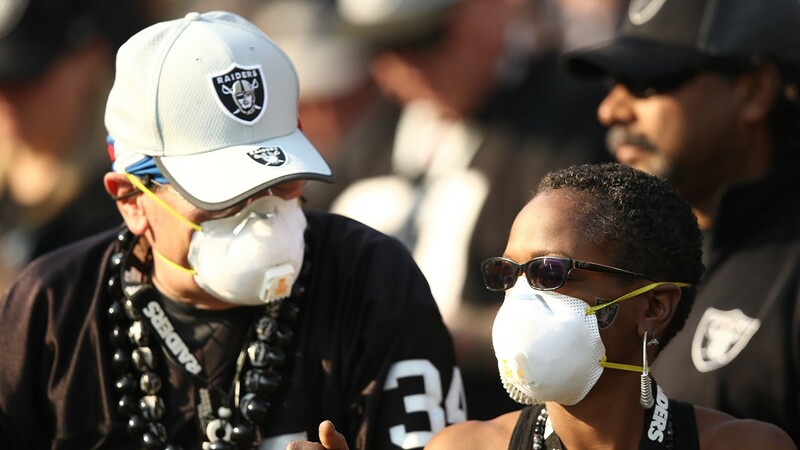 This brings the total number of fatalities to 42. 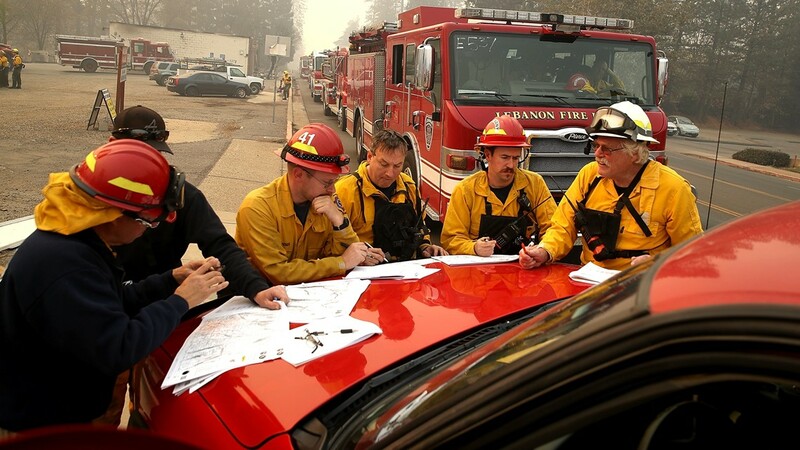 A total of over 4,500 personnel are assigned to the Camp Fire in Butte County. 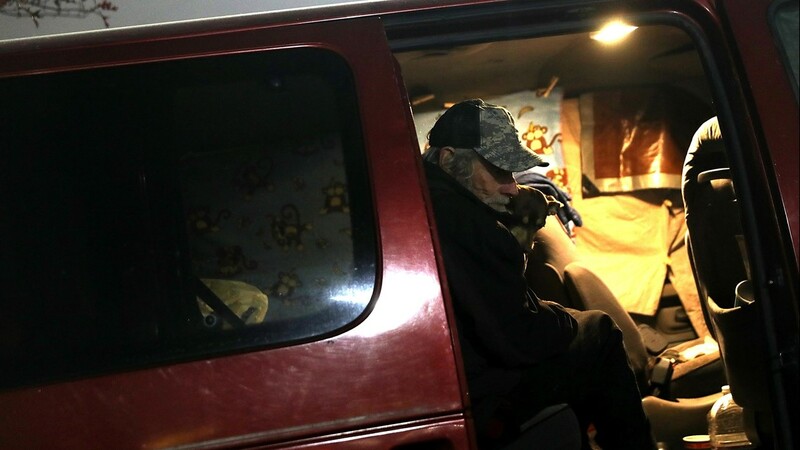 These individuals are coming from as far away as South Dakota. 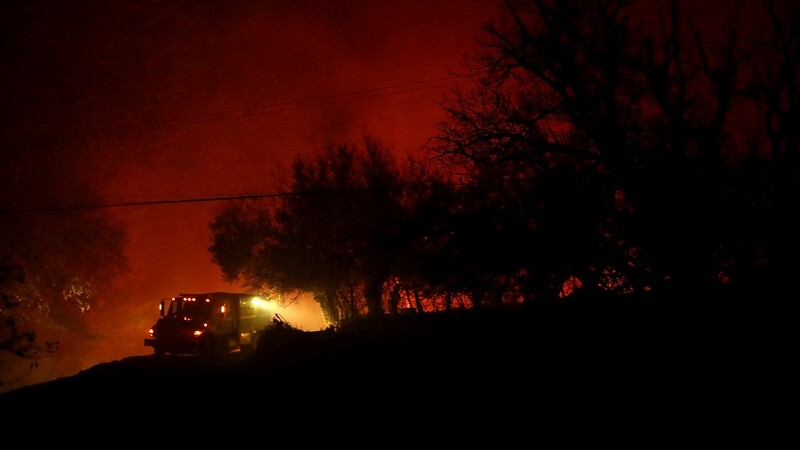 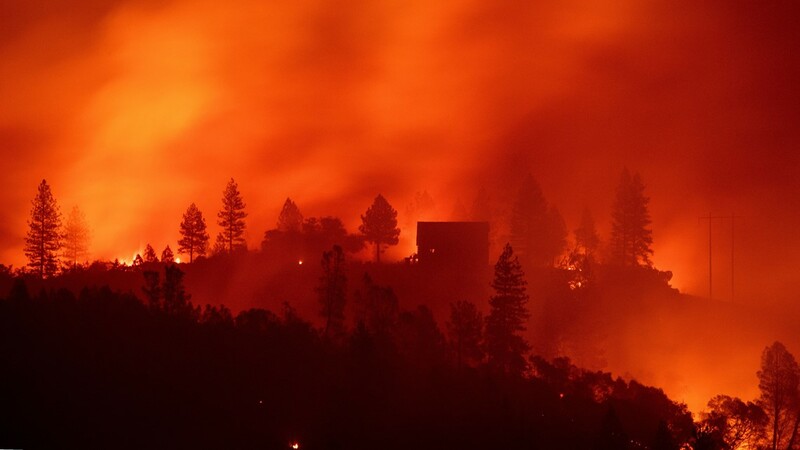 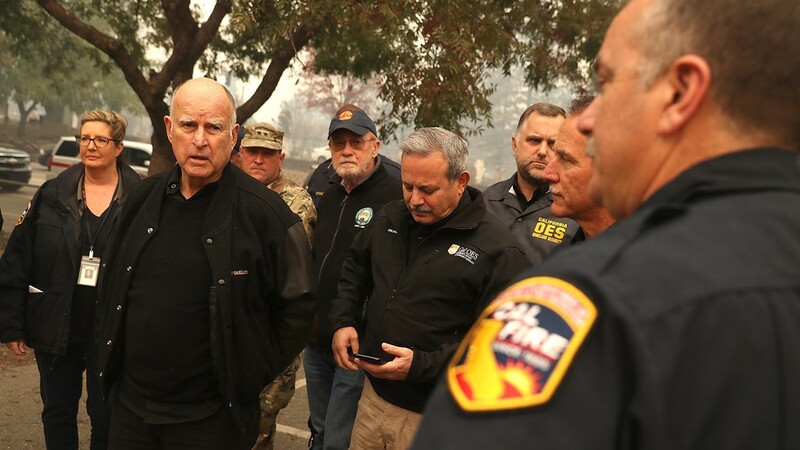 According to Cal OES, other states like New Mexico, Utah, Texas, Washington, Oregon, Montana, and Idaho have also sent personnel to combat the California wildfires. 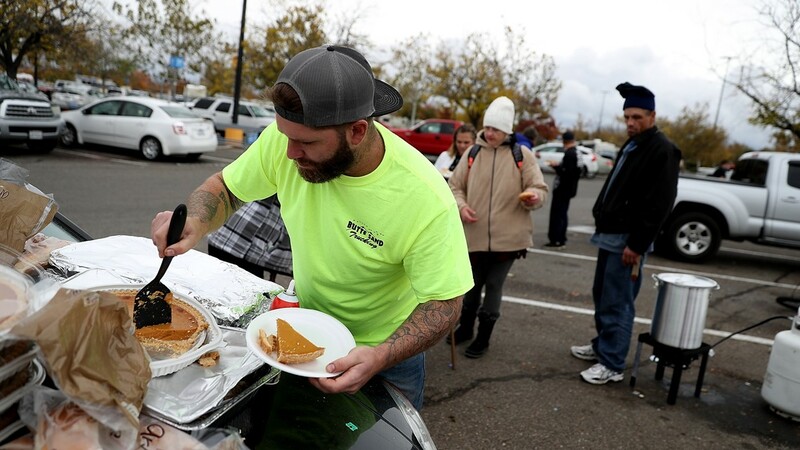 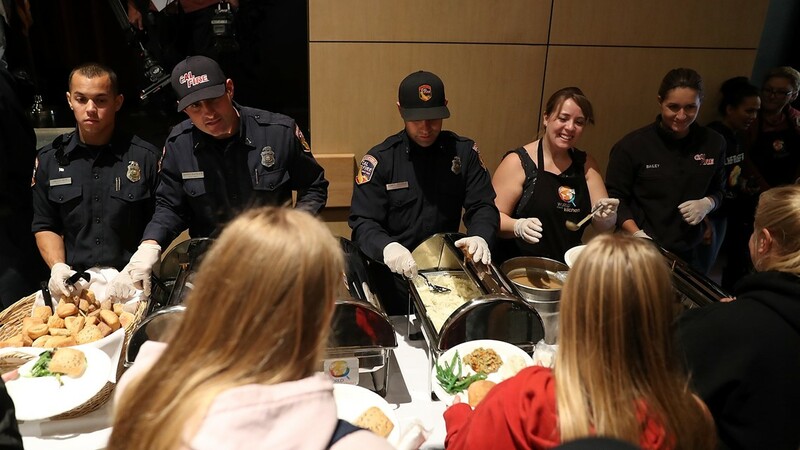 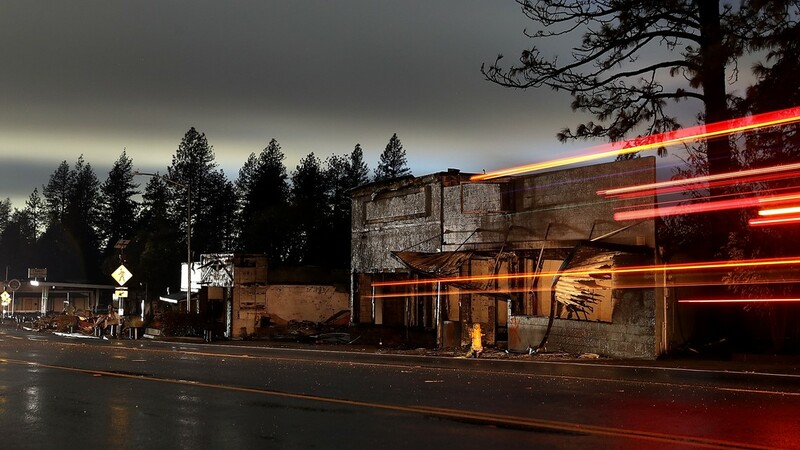 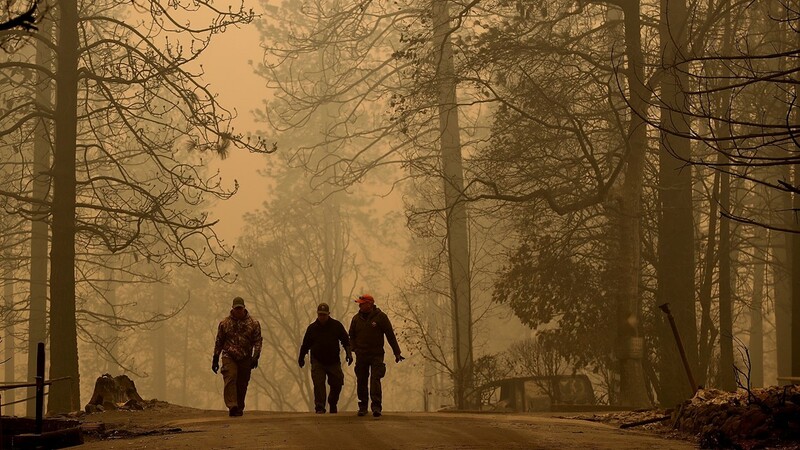 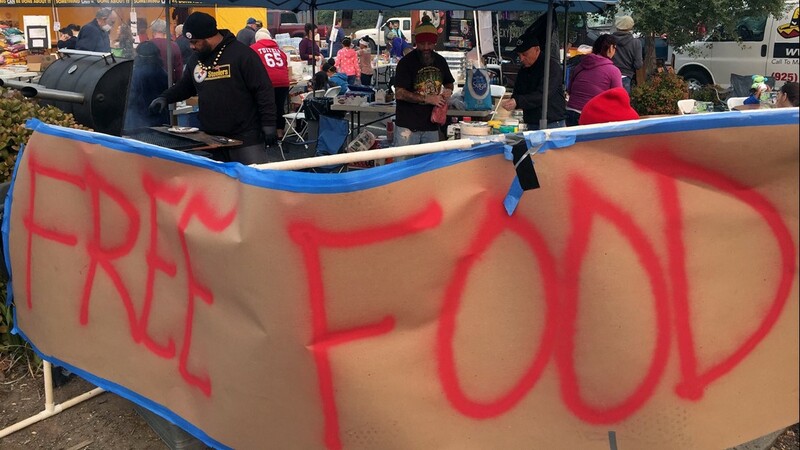 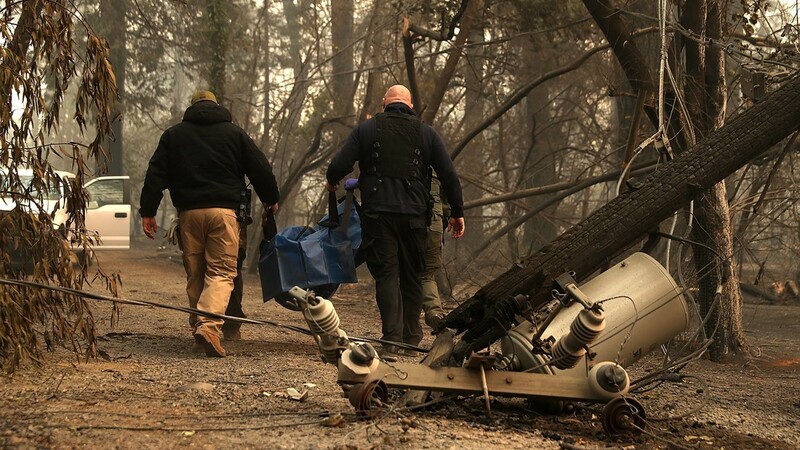 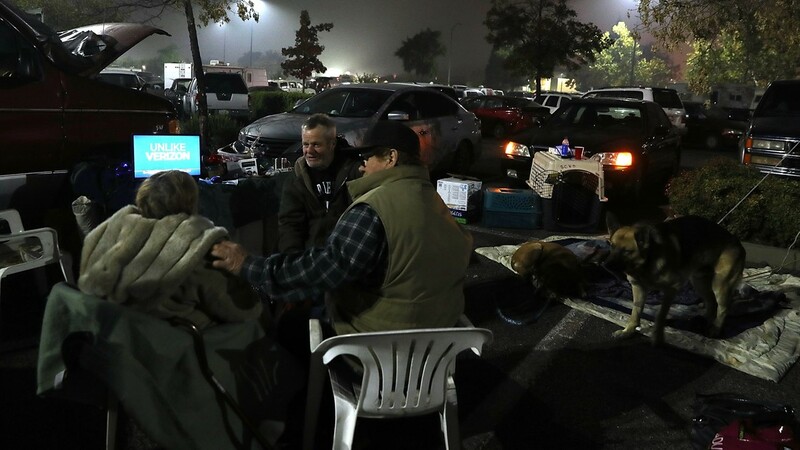 Within hours of the Camp Fire breaking out, firefighters from up and down the state responded to calls for mutual aid. 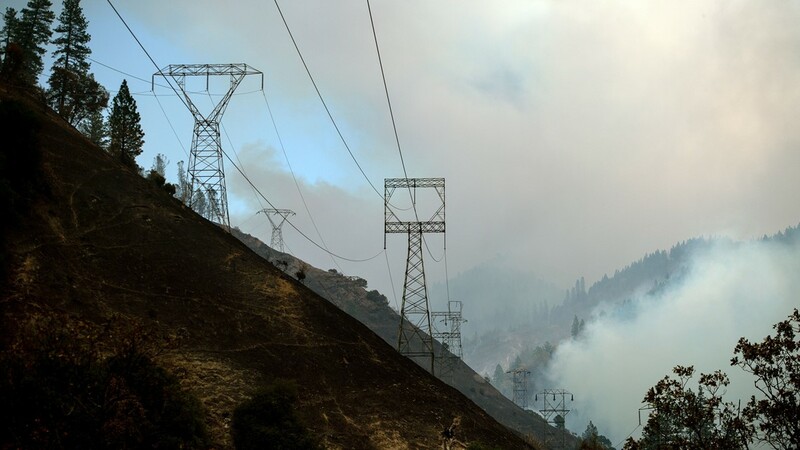 California utilities again are facing severe financial pressures from the possibility their equipment sparked catastrophic wildfires. 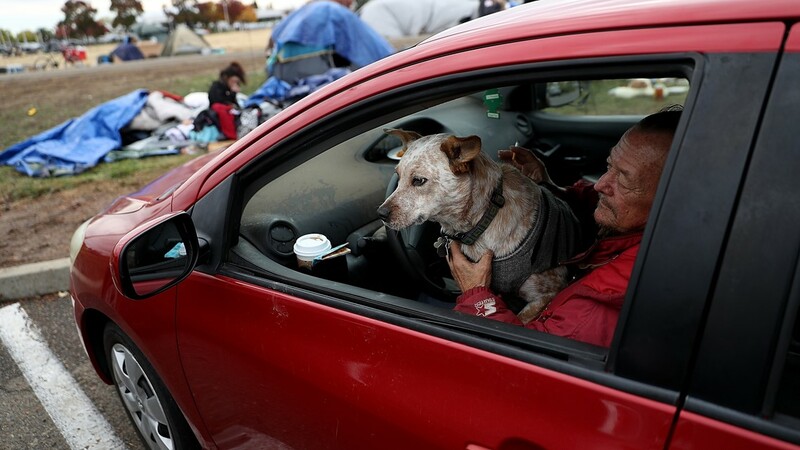 A bill to help them in such situations was signed in September by Gov. 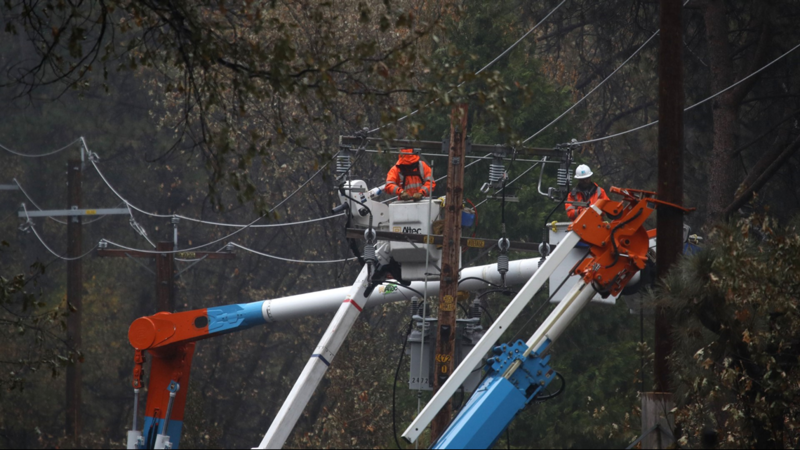 Jerry Brown and gave utilities some relief for wildfire liability beginning next year. 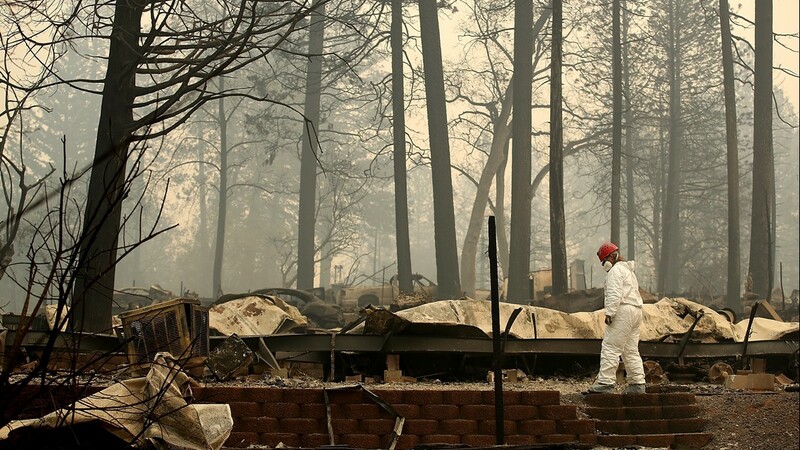 It also sought to ensure they wouldn't go bankrupt from the 2017 fire season by allowing them to bill customers for costs. 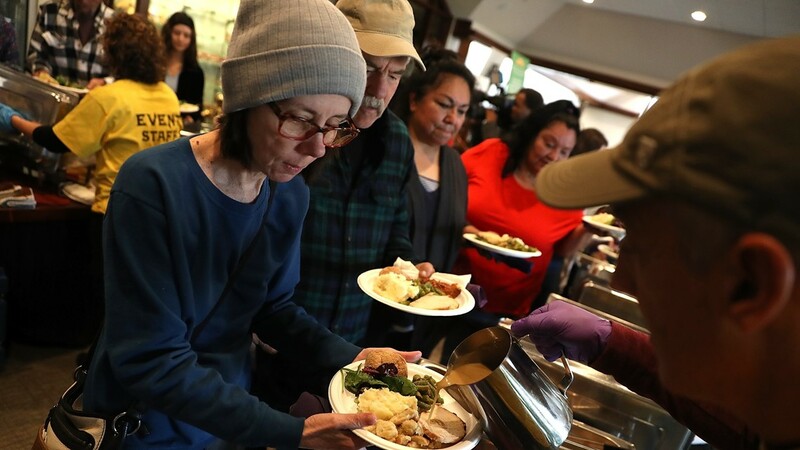 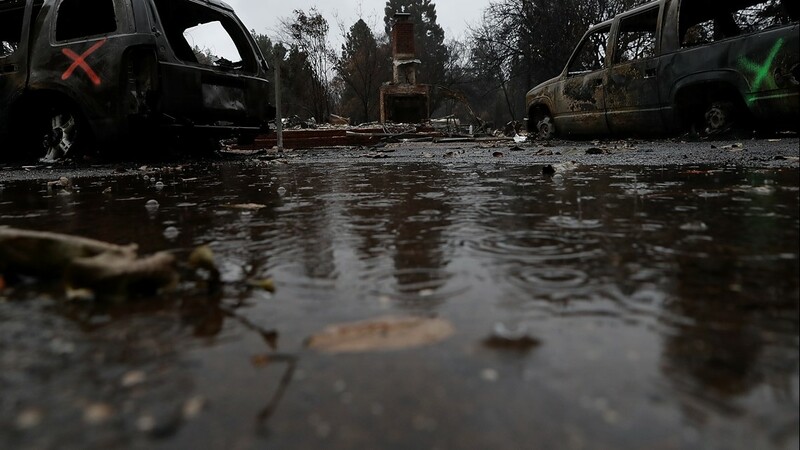 But there was a gap in the law: Nothing changed for 2018, and this year already has supplanted last year as the most destructive in California's recorded history. 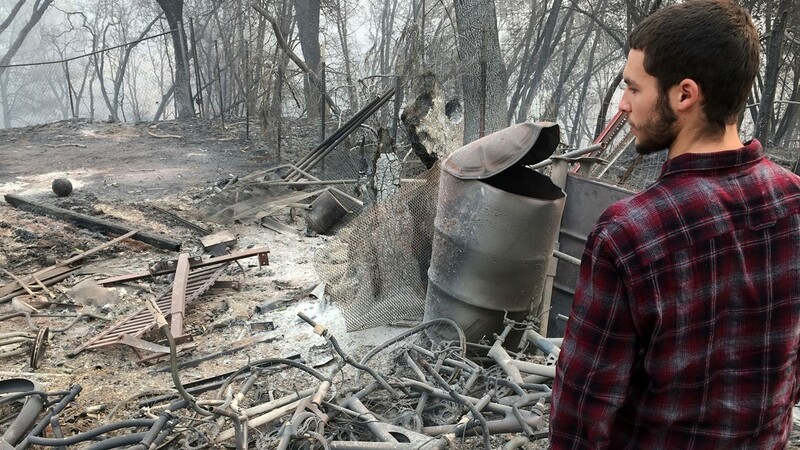 Authorities have not determined a cause for two blazes burning now. 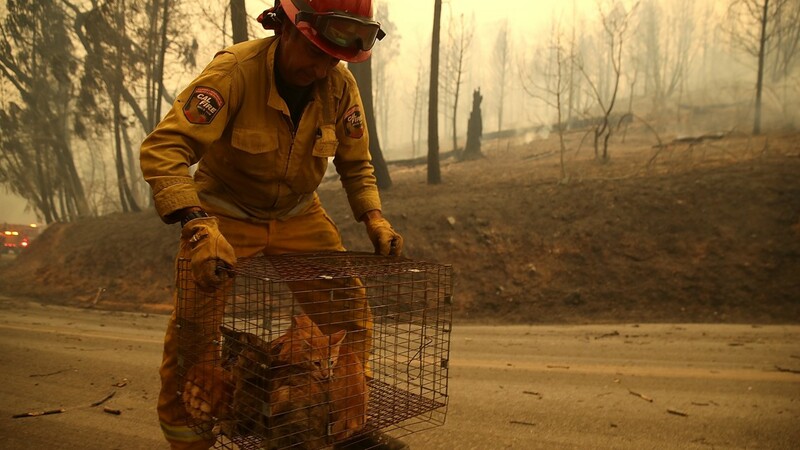 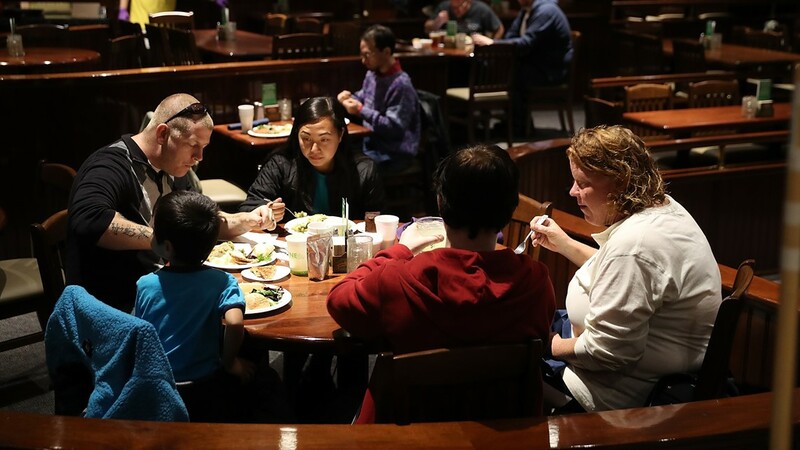 But the utilities — Pacific Gas and Electric and Southern California Edison — reported irregularities with their equipment near the time and place both fires ignited. However, low relative humidity and dry fuels will continue to make fire conditions worse for crews battling the blaze. 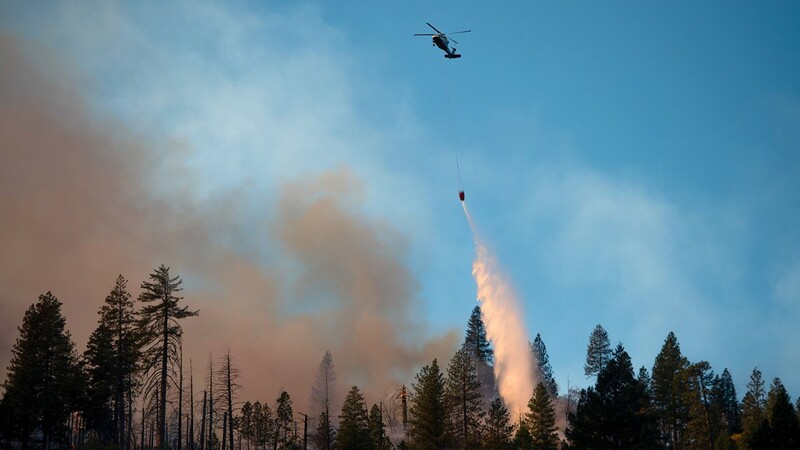 The fire grew only about two percent overnight to 113,000 acres by Monday morning. 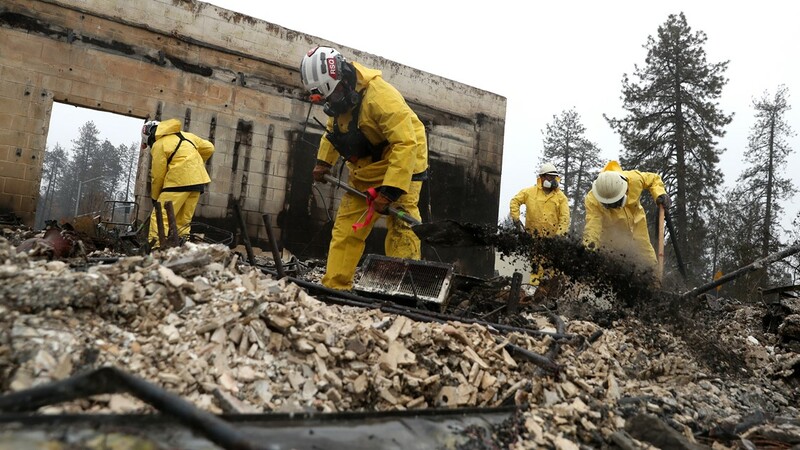 The fire remained 25 percent contained. 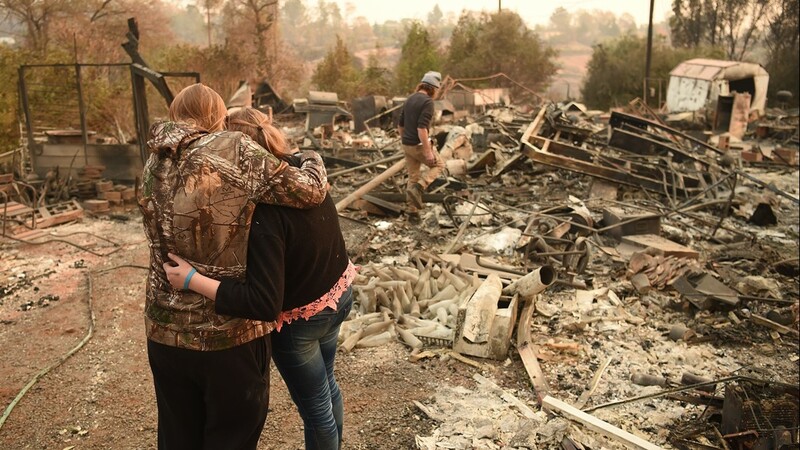 There are also 228 people are still considered missing and unaccounted for, while authorities have been able to locate 107 who had been reported missing, Butte County Sheriff Kory Honea said. 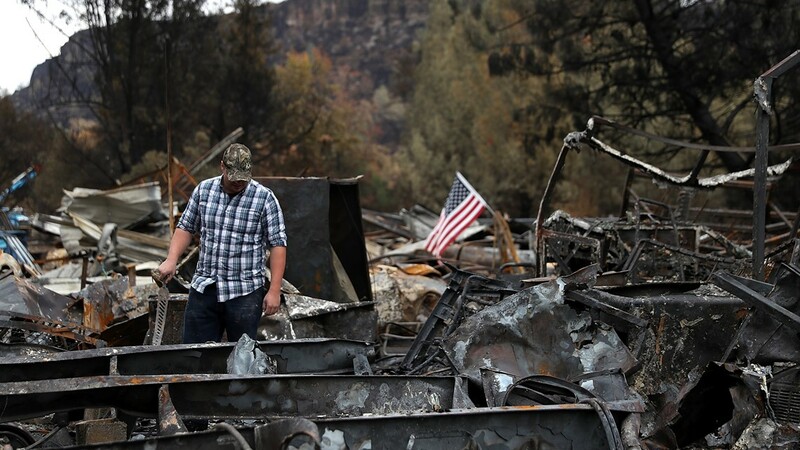 The fire has burned 6,453 homes and remains only 25 percent contained. 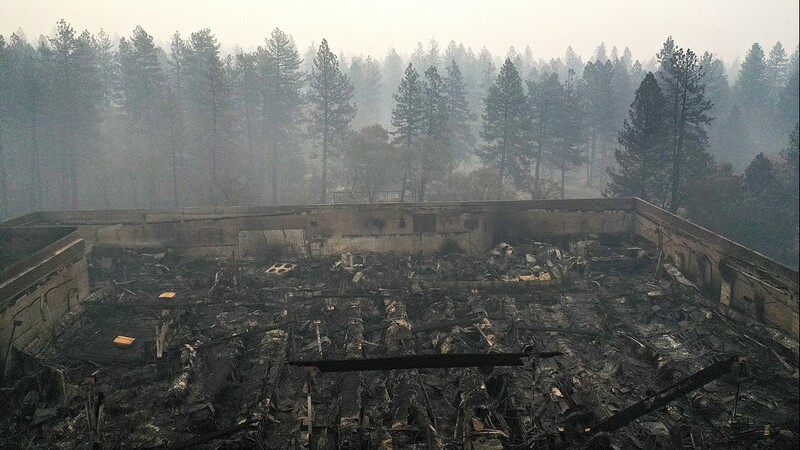 Officials estimated another 260 commercial structures have burned in the fire. 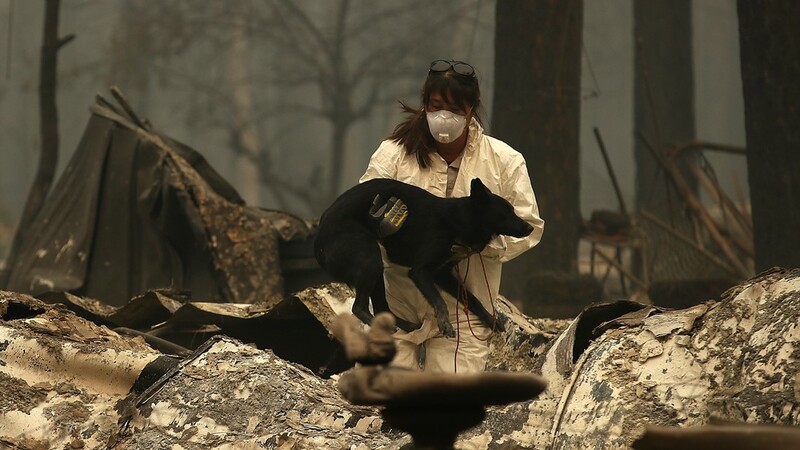 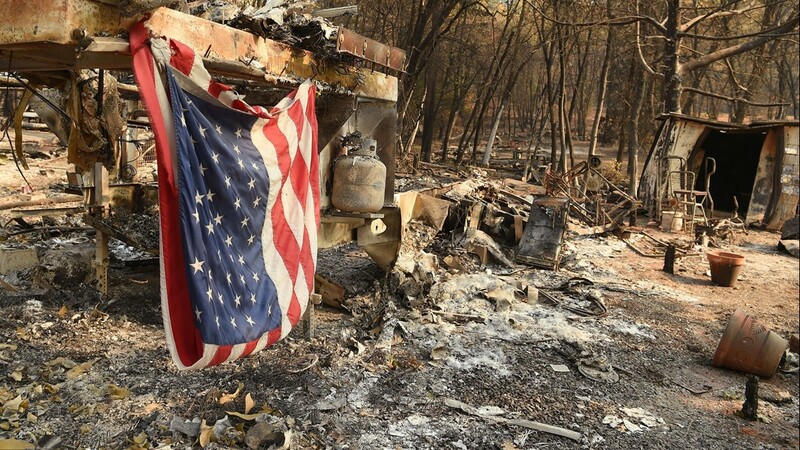 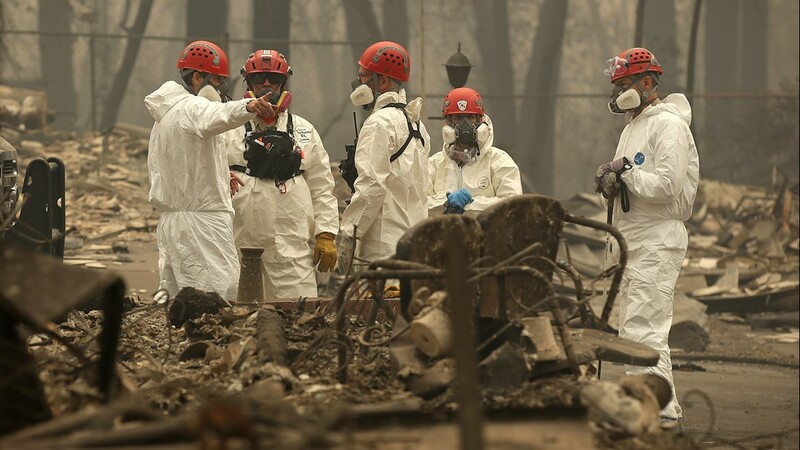 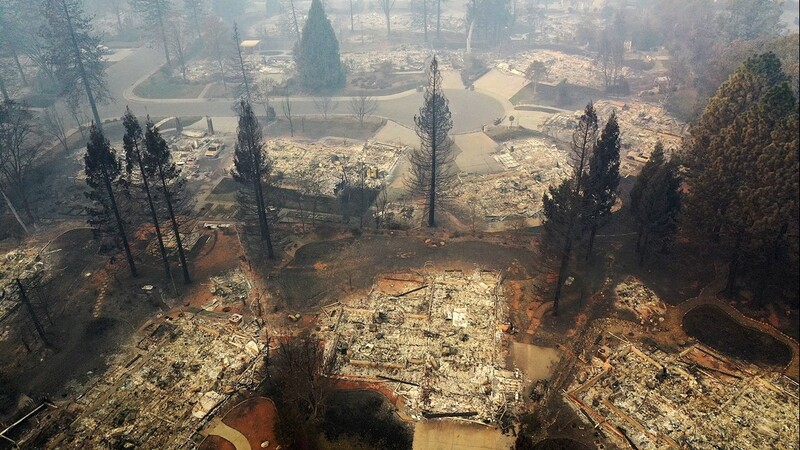 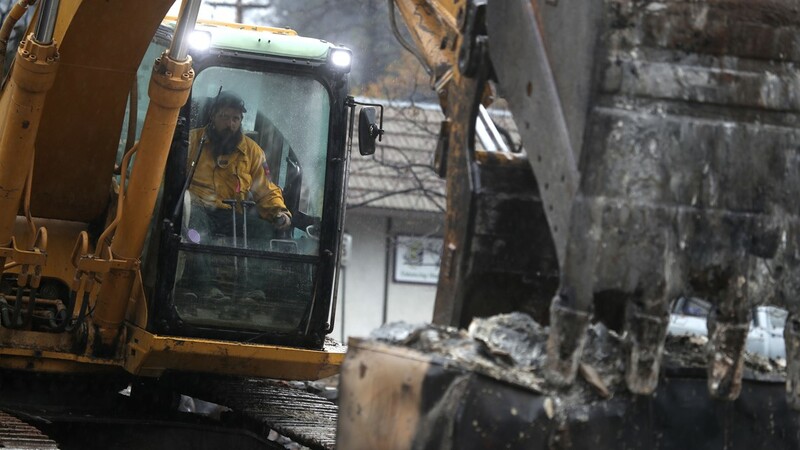 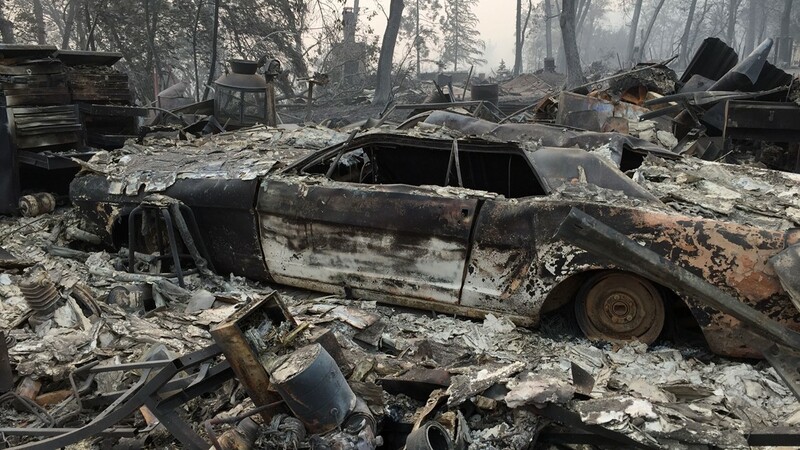 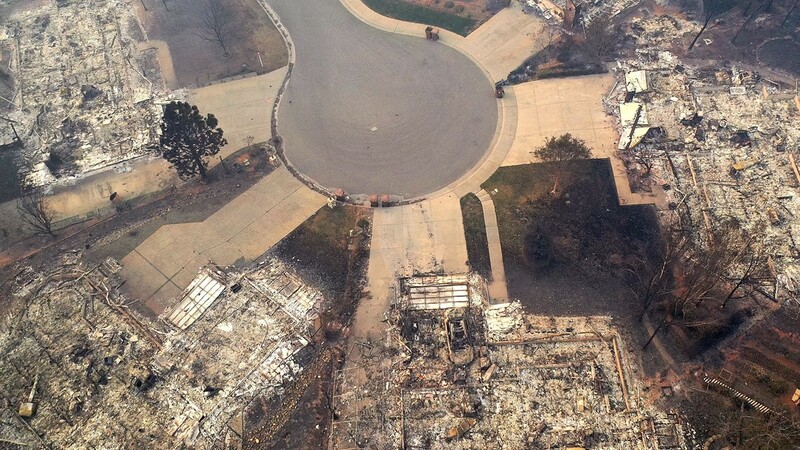 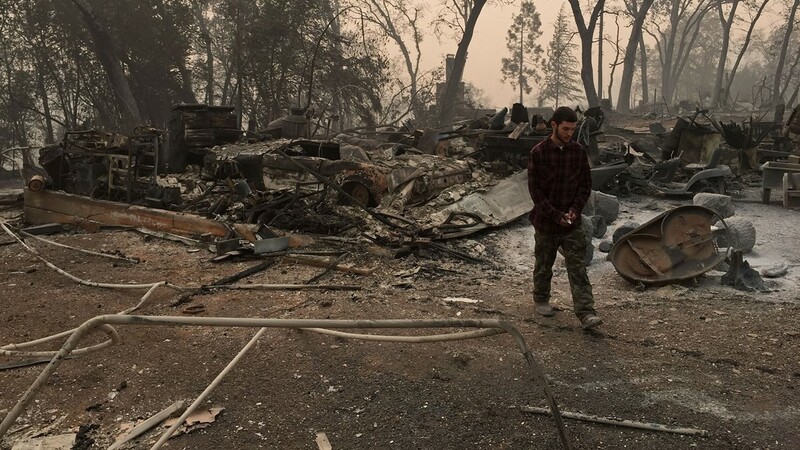 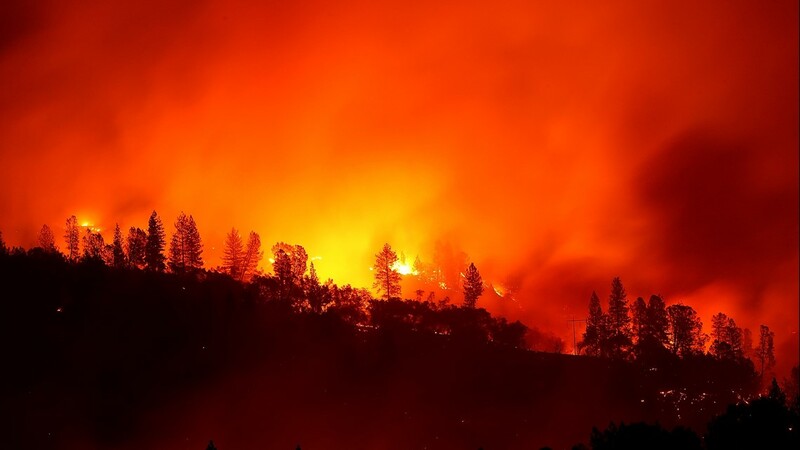 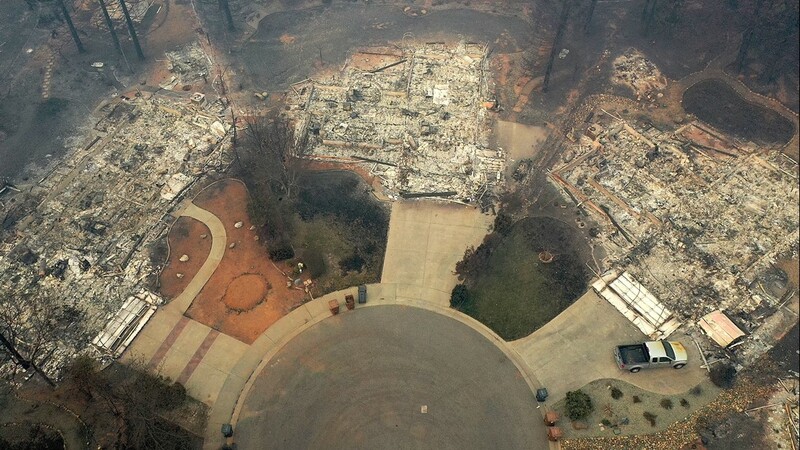 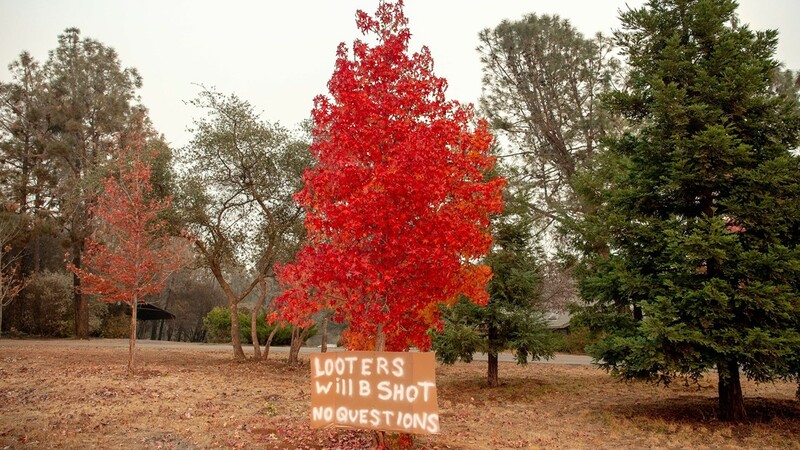 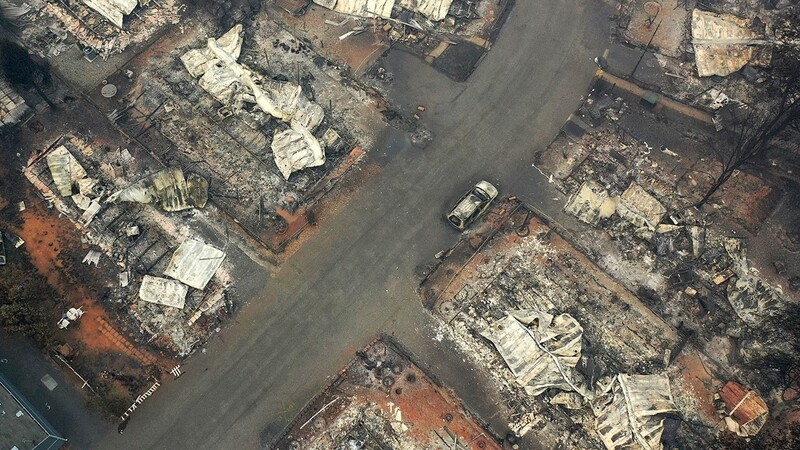 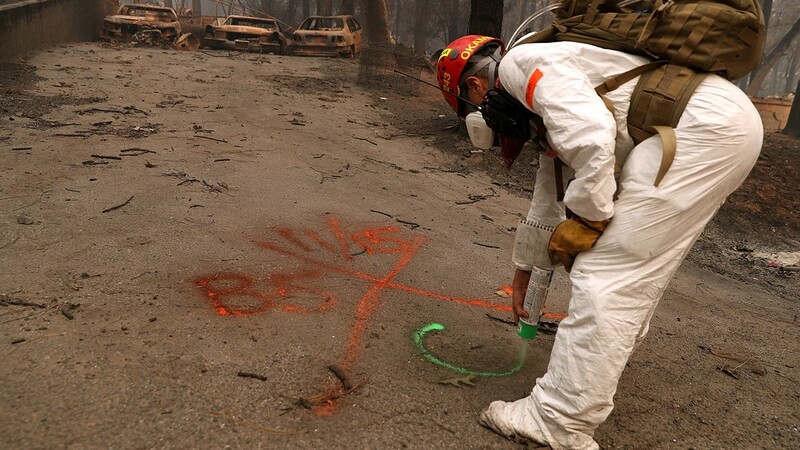 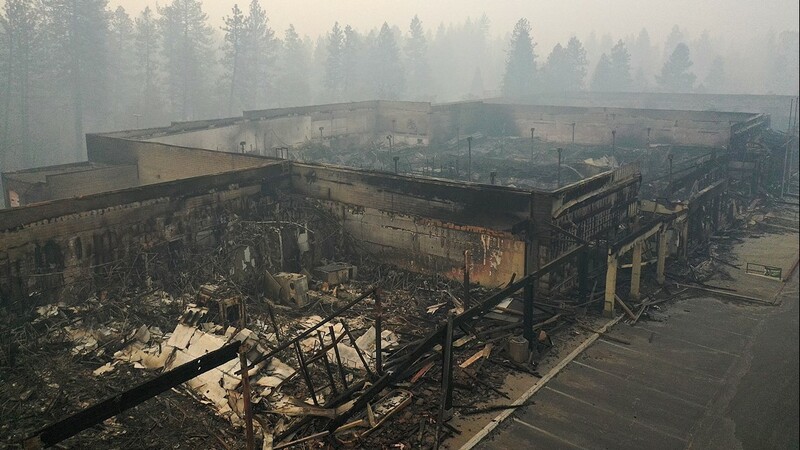 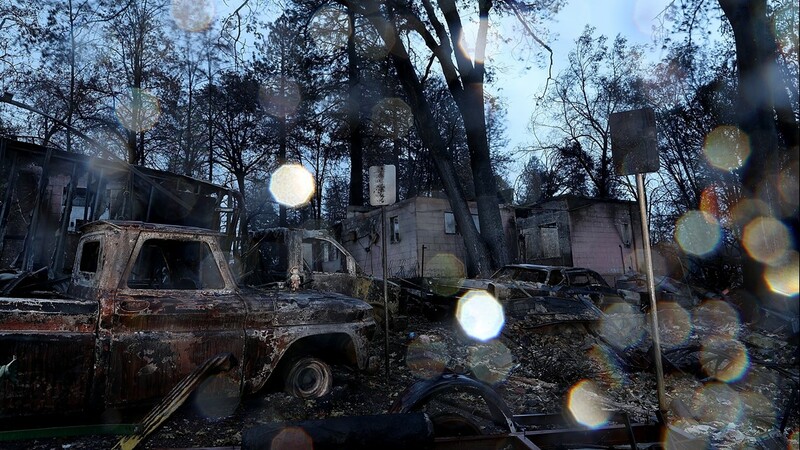 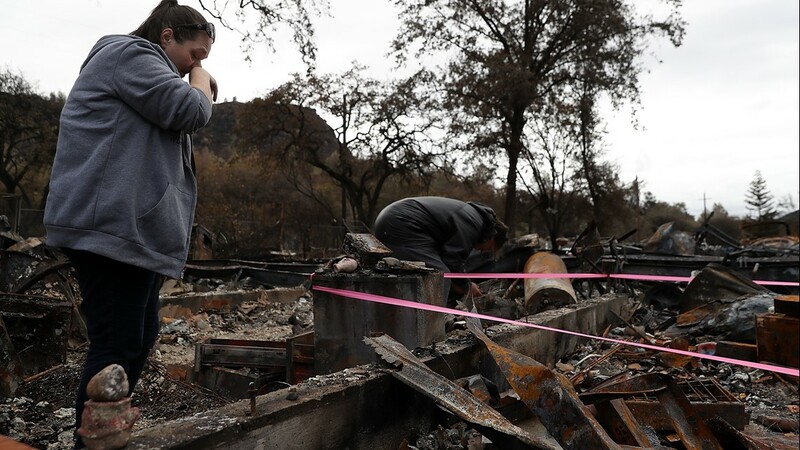 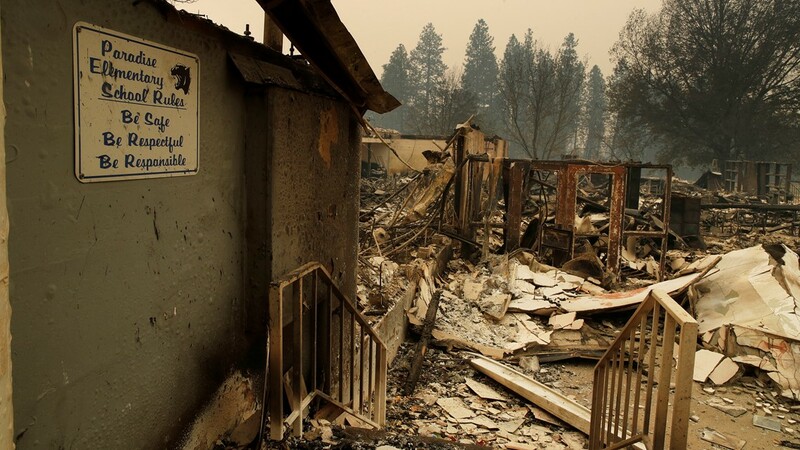 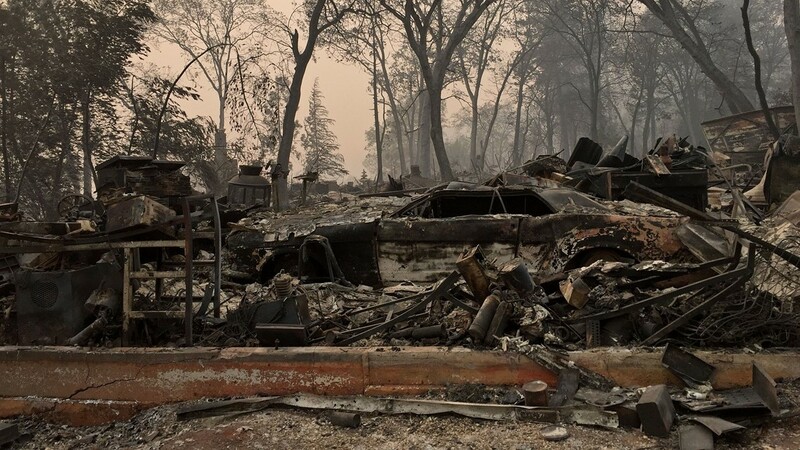 Another 389 "minor" structures were destroyed, according to the California Department of Forestry and Fire Protection. 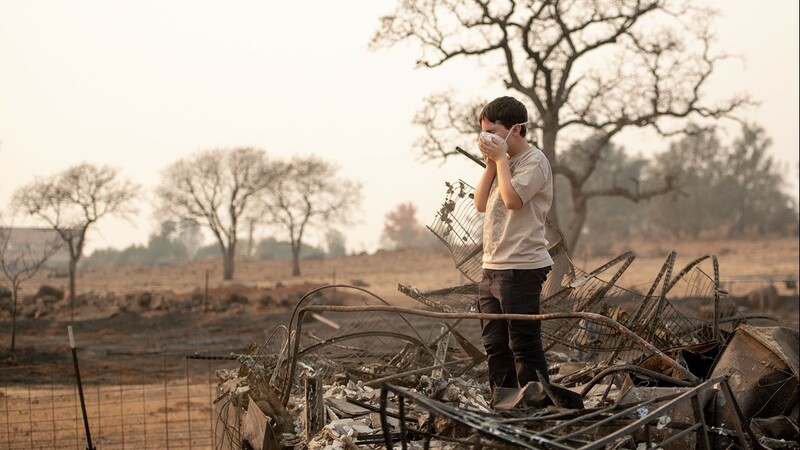 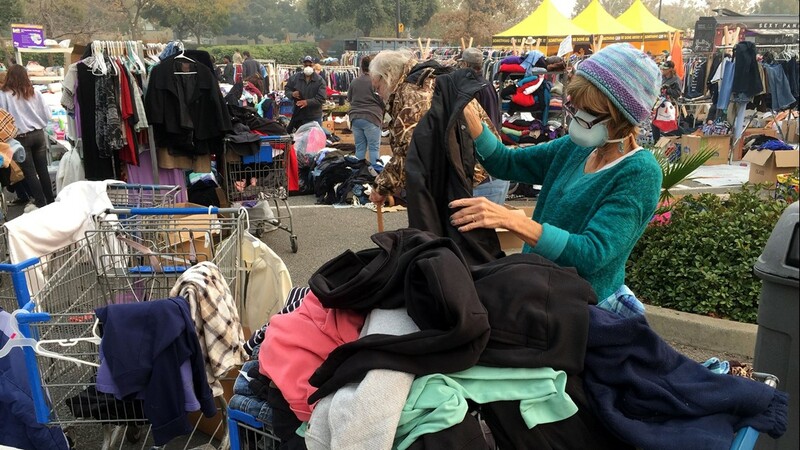 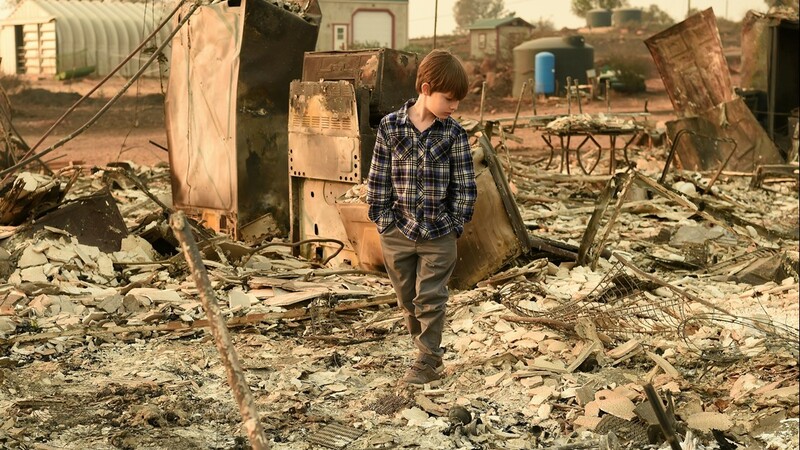 Watch Now: Episode 2: A cafe owner steps in to help when a Redding man faces an unspeakable tragedy in the aftermath of the Carr Fire.